Travis® Business Edition is a special pack that includes Travis Touch Plus, a 1 Year Travis Business subscription and a protective case. Travis Touch Plus translates to 100+ languages. Travis Business subscription is an additional software feature for professionals that syncs all of your conversations to the cloud. Read-in-mode (powered by Zoi) for live subtitles COMING SOON! Protective Case for Travis Touch Plus. Travis Business edition is the ultimate tool to translate and track your conversations during business meetings. Get the best out of your business meetings, speaking one of the 100+ languages included on Travis Touch Plus. With Travis® you can go global and speak local. 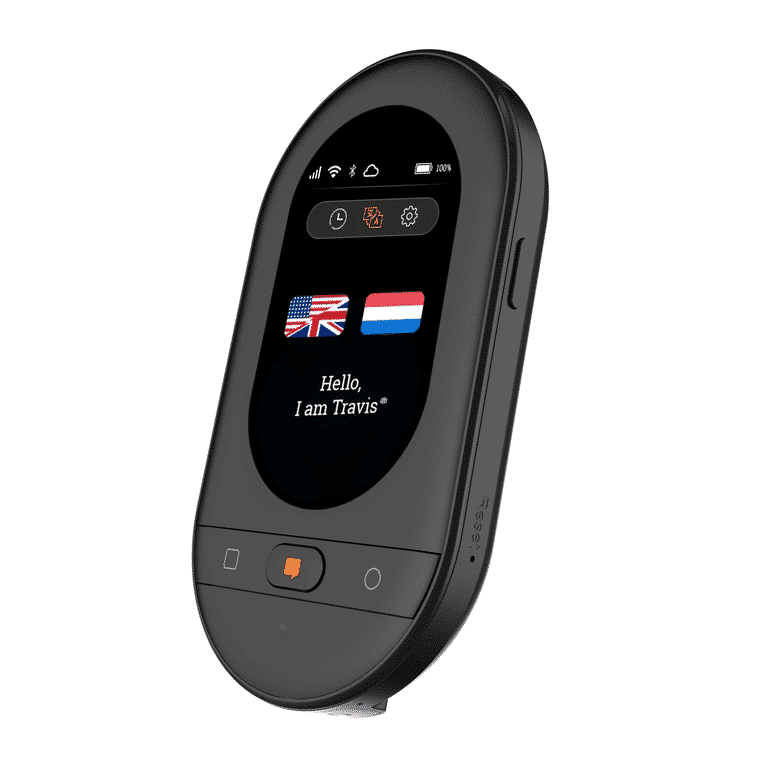 Travis Touch Plus is the most complete pocket translator on the market. Get quick translations to more than 100 languages with just a touch of your finger, connect multiple devices to the internet thanks to it's built-in Hotspot, and use voice commands for easy usability.